Entering its final year of production, with a successor expected to make its debut at the New York International Auto Show in April 2012, the 2012 Acura RL has not undergone any changes from the previous model year. Mechanically, the 2012 Acura RL comes standard with all-wheel drive and is available in three trim levels: Base, Advance and Tech. The Base comes standard with a 300-hp, 3.7-liter, 24-valve, SOHC VTEC aluminum alloy V6 engine that's rated for 271 lb-ft of torque. All trims also come with a 6-speed automatic transmission with Sequential SportShift operated via paddle shifters and Grade Logic Control. Its Super-Handling All-Wheel Drive (SH-AWD) puts power to all four wheels through the use of a double wishbone front suspension and multilink rear suspension. The Acura RL takes premium unleaded gas and is rated to get 17 mpg city/24 highway. Standard for all 2012 RL trims are automatic climate control (a dual-mode, dual zone system that allows driver and passenger to create their own microclimates), rear-seat climate controls, heated 10-way power front seats with driver memory functions and 2-way power lumbar support, keyless ignition/entry, a power rear sunshade and manual rear side sunshades, sunroof, auto-dimming mirror, perforated leather-trimmed seats, wood-grain-trimmed gear shift knob and steering wheel, power tilt-and-telescoping steering wheel, xenon high-intensity discharge headlights and 18-inch aluminum alloy wheels. Additionally, all trims also come standard with HandsFree Link, a 10-speaker Bose surround-sound audio system with a 6-CD changer and active sound control, Sirius XM radio, an auxiliary audio jack, USB/iPod audio interface and a security system. Those opting for the Technology trim receive all of the Base equipment along with 6-level heated and ventilated front seats, a back-up camera, rear parking sensors, adaptive headlights and GPS-linked solar-sensing climate control with a voice-activated navigation system. All equipment is available for the Advance trim, which also includes power-folding side mirrors, real wood cabin accents and adaptive cruise control. Options for all trims include a deck lid spoiler, front and rear splash guards, and an engine block heater. Numerous safety features are standard in all 2012 RL trims, including 6 airbags (2 front, 2 front-side and 2 full-length side curtain airbags) with an occupant position detection system, active head restraints, antilock disc brakes with electronic brake distribution and brake assist systems, vehicle stability assist system and tire pressure monitoring. A collision mitigation braking system is standard for the Advance trim. 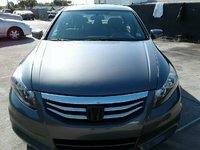 Exterior colors available for the 2012 Acura RL are Crystal Black Pearl, Platinum Frost Metallic, Pomegranate Pearl, Alberta White Pearl, Forged Silver Metallic and Graphite Luster Metallic. Interior leather colors available are Ebony and Taupe, with Seacoast available only with Pomegranate Pearl and Alberta White Pearl exterior choices. A number of 2012 Acura RL owners have noted how smooth the vehicle's ride is and how agile it is when asked for more power. The SH-AWD system gives the Aura RL extra grip when cornering and great traction in all weather conditions. Sales of the Acura RL have slipped in recent years, as the model has lost favor with consumers who favor sportier models, such as the Audi A6, Infiniti M37 and the Hyundai Genesis. 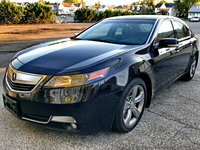 With a replacement for the RL looming for 2013, Acura hopes to regain footing it has lost in the midsize luxury sedan market in recent years. 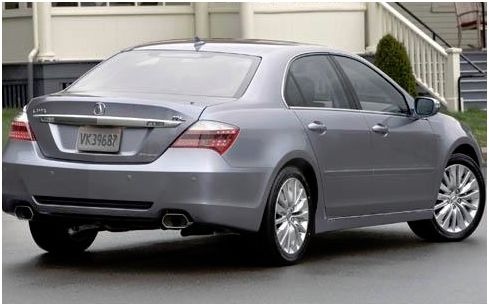 What's your take on the 2012 Acura RL? phillipfrankreid I have not driven an RL, first of all. 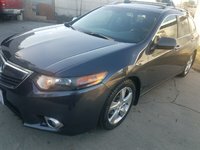 I leased a 2012 TSX Tech for 3 years, so I have experience with the brand. I current own two Hondas and have owned three others in the past. I can compare the TSX to the BMW 335i and 135is, both of which I track-drove. While not as elegant or warm inside as the optioned-out 335i, the quality of fit and finish gave up nothing to the BMW, and struck me as a little better than what was in the 135i. And BMWs are by no means shoddy or even mass-market cars in that respect. (Of course as performance machines both of those cars could literally run circles around the TSX. They can also make you crazy and/or broke to own.) The build quality and reliability of the TSX were beyond reproach. So when I read that the fit and finish, ride, build quality, and handling of the RL can easily hold their own with an E-class, I have no trouble believing that. Acura is not a wanna-be luxury car maker. The RL, like the TSX, was made in Japan, and those tend to be the most bulletproof Honda cars (our '94 Civic EX was made in Japan, and it is still running great and looking good at almost 200,000 miles and 21 years). My wife loves Acuras and is deeply suspicious of German luxury cars, and the fact that Acuras do not carry the prestige-value/show-offability of German luxury cars appeals to her. So right now a 2012 RL Advance, which has everything on it that I want in my 50th-birthday-or-so luxury sedan, is top of the list. 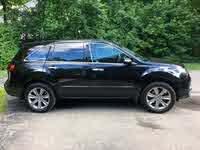 Have you driven a 2012 Acura RL? Any Last-gen Acura RL Owners Out There? If So, Your Review?